Just weeks after the State Duma voted to oust opposition MP for illegally running a business, one deputy from the parliamentary majority United Russia said he would voluntarily quit his post over similar accusations. 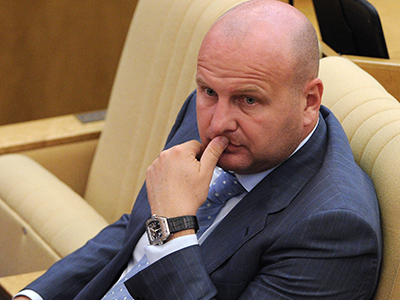 “I decided to stop my own powers as State Duma deputy,” Aleksey Knyshov wrote in his blog on Friday. “The most important thing is – I was not involved in business or any other activity linked to the extraction of profits,” he added. The second part is important as Russian law forbids people’s deputies to be engaged in any type of business activities while occupying their parliamentary post, save for certain projects in art and education. The violation of this law can carry criminal responsibility as opposition MP Gennady Gudkov has recently learned from his own bitter experience. 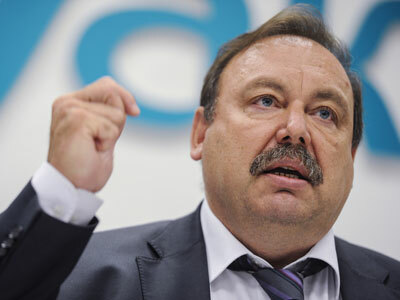 In mid-September the lower house voted to expel Gudkov from its ranks after the Investigative Committee addressed it with a letter claiming the MP had been involved in commercial activity. Law enforcers could also commence a criminal case against Gudkov, but so far the move is in the preparatory stage. The parliament expelling one of its members without a real criminal case was a precedent. Gudkov claimed the ousting was revenge for his opposition stance and especially for taking part in street rallies against alleged violations at the latest parliamentary and presidential elections that took place in Moscow in winter and spring. Gudkov’s opponents dismissed these claims as simple demagogy. 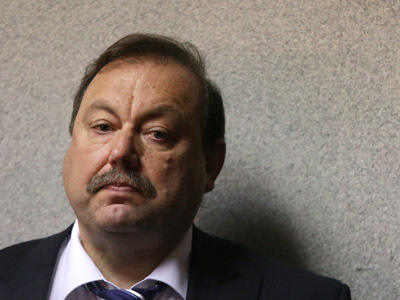 After Gudkov’s ouster, the deputy’s comrades, especially his son Dmitry, who is also a member of the State Duma on Fair Russia’s ticket, decried the move as political repression. Moreover, the MPs claimed that many more deputies were illegally running businesses, including members of United Russia. United Russia initially dismissed the reports, but later had to look into the documents, which included proof of Aleksey Knyshov running a business in Slovakia. 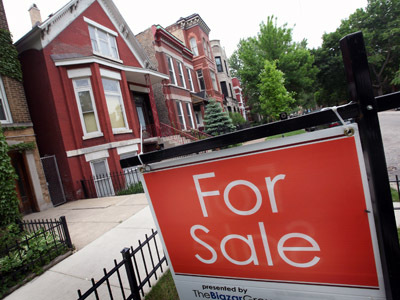 The documents were also picked up by investigators and earlier this week they said that the deputy used to be on the board of directors of a commercial company in Slovakia and also was registered as a founder or co-founder of 12 Russian firms. As Knyshov announced his departure from the lower house he said that the proof was a result of misunderstanding and mistakes in documents’ translation, but acknowledged that he could not provide official proof of his position. He wrote that it was clear to him that if the Duma decides to vote on his ousting, his colleagues would have to support the move. In order not to put his comrades and friends before this difficult choice, Knyshov decided to quit voluntarily before the question was put to a vote. However, the spokesman for the Federal Investigative Committee – Russia’s top federal law enforcement body, which deals with high-profile cases – said that Knyshov’s departure from parliament will not stop the agency’s probe into his activities. It is also worth mentioning that the departures of Gudkov and Knyshov from the Duma will not change the balance of power. Both MPs were elected on party lists and therefore should be replaced by different members of their parties. 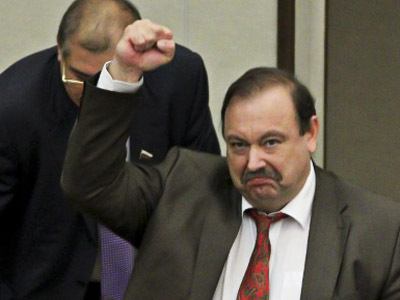 This has already happened to Gudkov’s seat – it is now occupied by Fair Russia member Aleksandr Tarnavsky.